The magnificence radiated by this brilliantly designed three stone diamond ring captures attention without much effort. 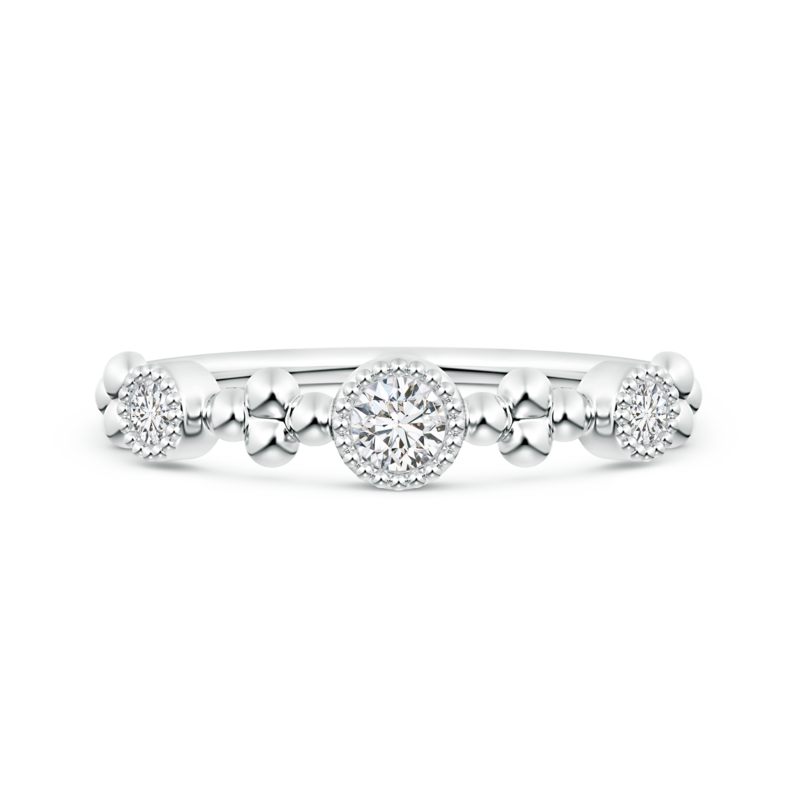 Designed in 14k white gold, it showcases incandescent lab grown diamonds that symbolize the past, present and future. The frame of these glorious bezel set, eco-friendly gems is adorned with milgrain detailing, which uplifts the appeal of the ring with its distinctive charm. Separating each of the diamonds from one another is a cluster of artistically crafted metal beads, which is yet another beautifully incorporated design element.